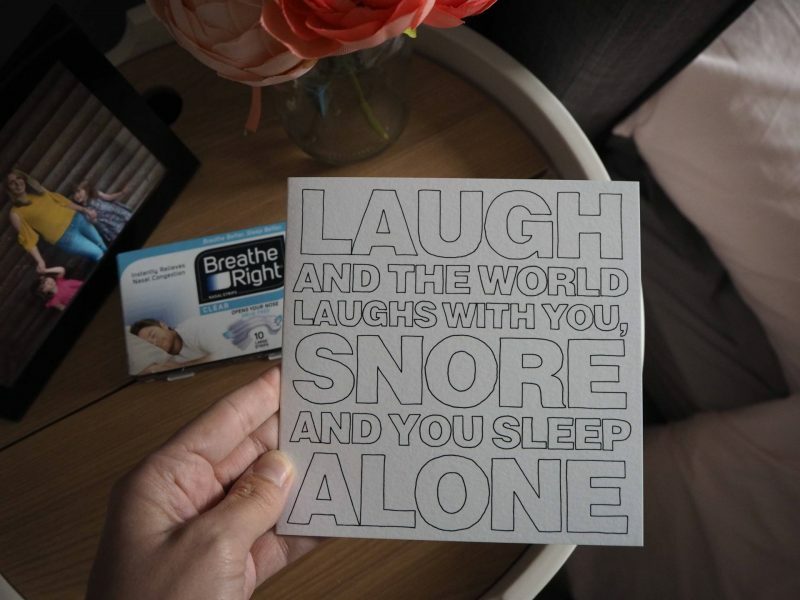 Can You Really Stop Snoring With Breathe Right? Snoring! If you’re like me and live with someone that snores, it’s a big part of your life and you find yourself having really boring conversations about snoring, lack of sleep and how annoying it is. It’s not until you are living with it, that you realise how much it can affect you and the whole family. In our house its Andy that snores, well actually Holly snores too, but I’ll forgive her as she is little and cute. Plus I don’t have to sleep in the same room as her and listen to it. It’s Andy snoring that does affect me, which in turn affects us all. Because lack of sleep and sleep deprivation is a big thing, it makes a massive difference to my frame of mind, my patience levels with the girls and my grumpiness goes up a notch or two. Andy’s snores most nights, well in fact he snores every night, but there are the occasional nights that it doesn’t affect me. The only way for me to get a good nights sleep, is for me to fall asleep before Andy and for the girls to not wake up in the night. As you can imagine these two things both happening on the same night is very rare. The worst time is in the middle of the night, once I’ve been woken up by Holly and settled her. I climb back into bed, desperate for some more sleep and Andy is fast asleep next to me, snoring away. It’s these moments that are the worst. Rolling him over can sometimes work, but not always. Then the longer I lay there, the more awake I become and the harder it is to get back to sleep. It’s a vicious circle. 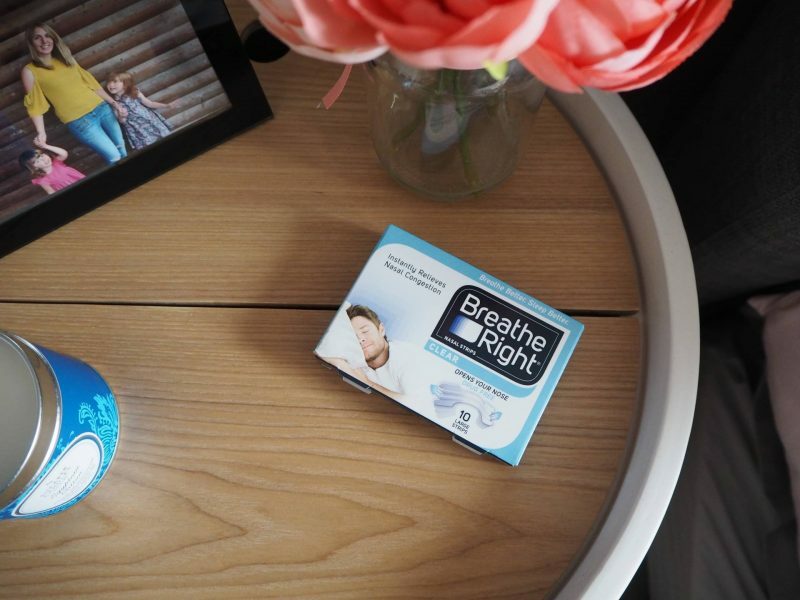 Last week it was National Snore Week and Breathe Right sent us some nasal strips for Andy to try out. I think it’s hard when one of you snores, because the person who snores doesn’t truly appreciate what it is like for the other person. Thankfully Andy doesn’t like a grumpy Laura and he was willing to try anything! 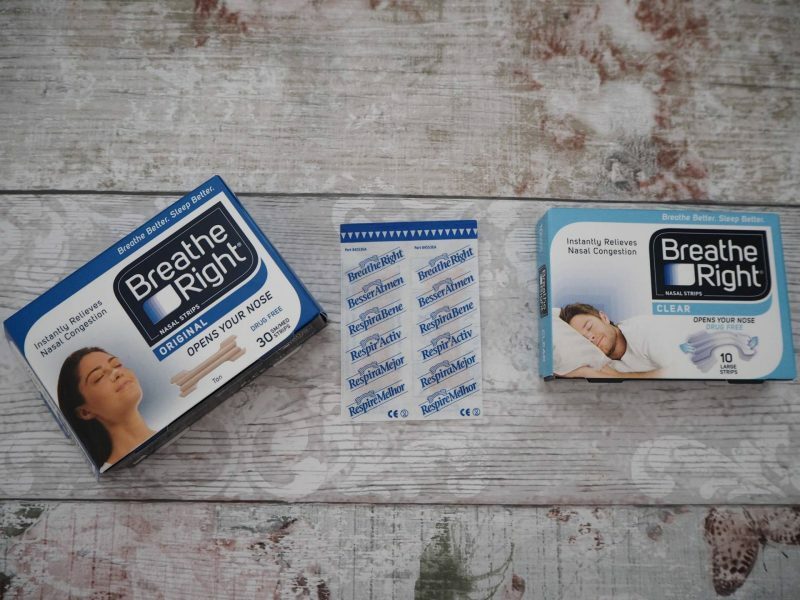 Breathe Right nasal strips work by lifting the nasal passage which gives up to 31% more airflow. 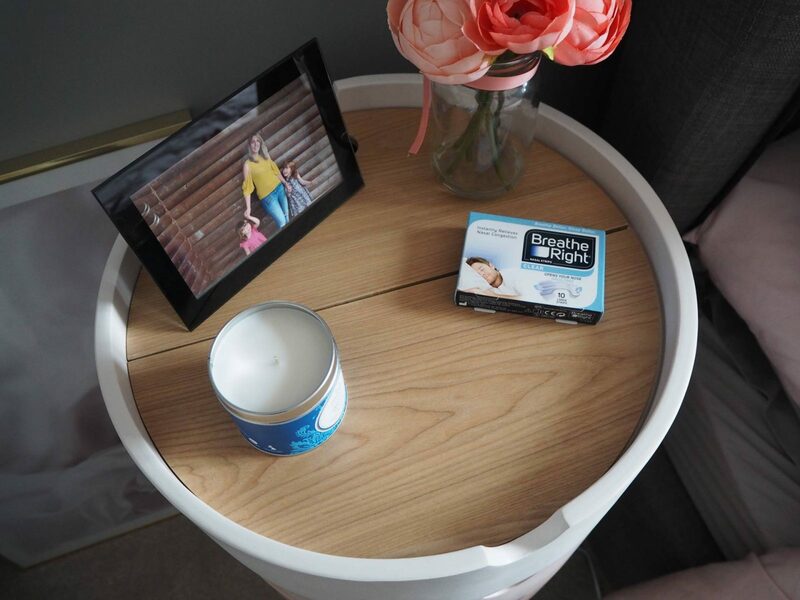 Enabling you to breathe easier. We were both a bit sceptical as to whether a nasal strip would make any difference. Andy put one on the first night and said that it didn’t feel uncomfortable and nothing really ever stops Andy getting to sleep. He sleeps through everything. The first night both girls slept through the night, so we didn’t really get to put them to the test as I’m not sure if they made any difference or not, as I slept all night. The second night, Holly did wake up for the toilet and in my sleepy haze I went and dealt with her and didn’t give any thought to Andy’s snoring (or lack of it). It wasn’t until I got back into bed, at which point I’m normally then dealing with rolling Andy over to see if that will stop the snoring, that I realised that he wasn’t snoring. It was a miracle and I was able to get straight back to sleep. The next morning I told Andy and I don’t think he believed me. Which I don’t blame him, it is hard to think that it could work that well. The following night I was struggling to get off to sleep, too much whirling around my mind as my mum was in hospital. These are the worst nights when it comes to Andy’s snoring, as it means he not only gets off to sleep before me, but as I can’t get off to sleep he gets into a deeper sleep, which is when the snoring starts. Then his snoring is all I can think about! This time with him wearing his Breathe Right nasal strip, although the snoring did start, it was quieter and not as annoying. It didn’t stop me from getting to sleep and I didn’t feel the urge to prod him every 5 minutes. Whilst Breathe Right may not work every time, they have reduced the noise levels, which means that I’m able to get a better nights sleep. Which is a win for me (and everyone else!). If you would like to purchase Breathe Right or want more information, head here. Disclosure: This is a sponsored post with Breathe Right. This sounds like it worked pretty well. I’m lucky my husband doesn’t snore too often, and if I do, a swift dig in the ribs or a kick usually shuts him up! This is really interesting, my husband snores terribly and I need complete silence to sleep. We might have to give these a go to see if they help! There is nothing worse than being unable to sleep and having someone snoring loudly next to you, even when I kick my partner he goes back to sleep far too easily. I must try these. Well that’s impressive! I’m blessed with a husband that doesn’t snore but if he ever starts then I know what to look out for! I snore according to Gaz (although you have never told me this?! Haha!) and have been trying various techniques to stop snoring. I must try these, Gaz would be very grateful!